Never before has an EV been European Car of the Year; this year the Nissan Leaf gets it. Similar to the North American Car of the Year, which the Chevrolet Volt won, the European COTY is chosen by auto journalists; 58 of them from 23 European countries. The contest was very close. The Leaf rang up 257 points from the journos, besting the Alfa Romeo Giulietta by only 9 points. So why did the Nissan Leaf win? When you look at just how efficient the Nissan Leaf is you begin to understand just why EVs will become a part of our everyday life. The EPA rated the Leaf at 99 MPGe, or miles per gallon equivalent, which means that on average, the same amount of energy contained in a gallon of gasoline can propel the Leaf for 99 miles. This says a lot about energy efficiencies between the outdated internal combustion and more moden EVs. So in this sense it is quite a new approach to personal transportation. I am convinced that we will see other electric cars named Car of the Year in the future. But when we do, we must always remember that only one can be the first. And that is why Nissan LEAF Car of the Year 2011 is – and will remain – so very special. While the Volt won the North American Car of the Year for being both innovative and practical, the Leaf wins because it has zero emissions at the tailpipe. Therefore, the Leaf will be great for dense urban areas, especially LA, where smog is built up from cars and trapped between the mountains. The Leaf is the first practical EV because of its range. Most people don’t need to travel more than 100 miles per day and if they do, there is a plan. Seattle is part of a DOE project wherein they are placing 2,500 charging stations in the Puget Sound region. Therefore, Leaf owners will always be 5 miles from a charging station. Again, this should cut back on what many are calling the Leaf’s weakness: Range Anxiety. While 100 miles, or less if you use AC and other accessories, will be enough; those who travel into cities won’t have to worry about getting back with half a battery. With enough charging stations, Leaf and other EV owners will be able to leave the car for a few hours and come back to it charged. With the right infrastructure, car manufacturers can fully get rid of the increasingly rare petroleum and scale down battery size — lithium isn’t exactly easy to obtain either. The Leaf is a great start to a less oil-driven future; while many of the plastics are indeed made from petroleum, at least it isn’t burning it all day long. And that is why the Europeans love it. Now, if only Ford came out with their Focus Electric a bit earlier. The trophy recognizing the revolutionary Nissan LEAF as Europe’s Car of The Year 2011 was handed over to Nissan Motor Co.’s President and CEO Carlos Ghosn in a special ceremony at the Pavillion Gabriel in Paris. To win the award, the 58 CoTY members – leading motoring journalists from 23 European countries – placed Nissan LEAF ahead of six conventional new cars on the shortlist. It is the first time in CoTY’s 48-year history that the annual award has been won by an electric vehicle. “I am convinced that we will see other electric cars named Car of the Year in the future. But when we do, we must always remember that only one can be the first. And that is why Nissan LEAF Car of the Year 2011 is – and will remain – so very special,” said Håkan Matson, president of the CoTY jury, speaking at the ceremony. “It is a great honor for Nissan LEAF to be recognized as the European Car of the Year – the first all-electric car to receive this distinction. Like previous Car of the Year winners, Nissan LEAF is an appealing, competitive car, with no compromise on style, features, safety, performance or handling. Yet it stands apart as an innovative car that reflects a clear vision of the future of transportation – a vision of sustainable mobility,” said Ghosn after receiving the trophy. Nissan LEAF is powered by an in-house developed compact electric motor and inverter in the front of the car driving the front wheels. The AC motor develops 80 kW of power and 280 Nm of torque, enough for a maximum speed of 145 km/h (90 mph). The electric motor is powered by an advanced laminated lithium-ion battery with a power output of more than 90 kW. Developed by the Automotive Energy Supply Corporation (AESC), a joint venture between Nissan and electronics giant NEC Corp., the breakthrough battery has the capacity to store twice as much energy as the previous generation battery. 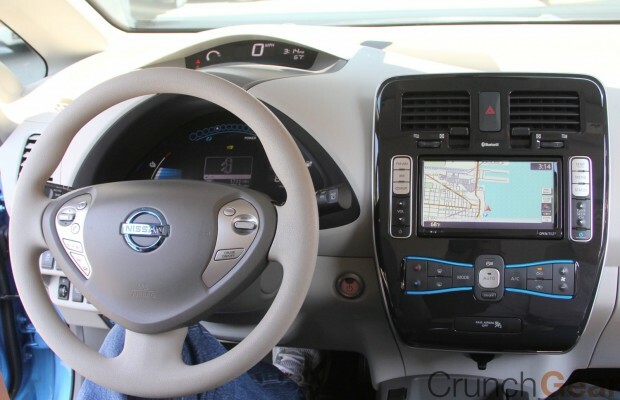 The zero-emission car is fully equipped with features such as regenerating braking, air conditioning, satellite navigation and a parking camera. Innovative smart phone connectivity will allow an owner to heat or cool the interior of the car remotely via a mobile phone. The single option is a solar panel mounted in the rear spoiler. Pre-orders for Nissan LEAF have reached more than 27,000 units globally. 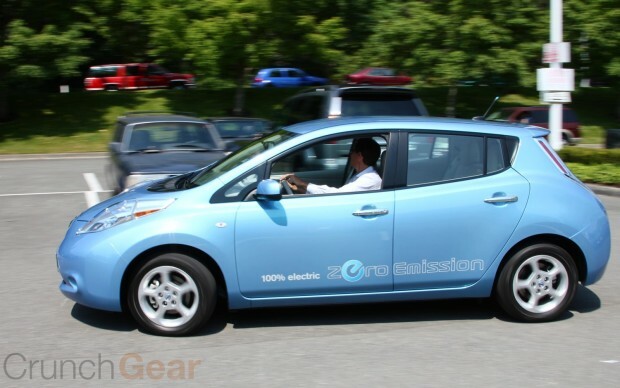 The zero-emission car is currently built in Japan, but will also be manufactured in the United States and United Kingdom when new manufacturing facilities there open in late 2012 and early 2013 respectively. Deliveries to individual customers in Japan and the US began in December. In Europe, deliveries will start shortly to Portugal, the Republic of Ireland, the United Kingdom and the Netherlands followed by more markets later in the year. The Renault-Nissan Alliance aims to be a global leader in zero-emission mobility and is taking a comprehensive approach encompassing both the product and the infrastructure required to support the mass marketing of electric vehicles. 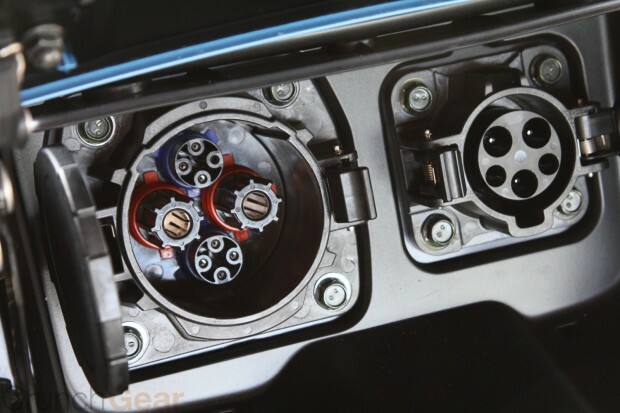 To date, the Alliance has entered into more than 90 partnerships with governments, municipal authorities and companies worldwide to prepare the markets and infrastructure for the successful adoption of electric vehicles. * The current version of the coveted marble trophy, introduced in 2004, was created by Emmanuel Zurini, a French artist famous for his automotive sculptures. Zurini was a leading Grand Prix photographer in the 1960s before turning to sculpture in 1975. It is the third specially created trophy in the history of the Award. Nissan has won the CoTY award before. In 1993, the Micra became the first Japanese-badged car to win the accolade and started Europe’s love affair with the little car that continues today with the recent launch of the latest generation Micra in late 2010.